Home Blog Is the Lasso MSA Better Than a High-Deductible Plan F? A question we’ve seen a lot from independent agents is this: how does the Lasso Medicare Medical Savings Account (MSA) compare to a High-Deductible Plan F (HDF)? Is the MSA better than the HDF? Or vice versa? 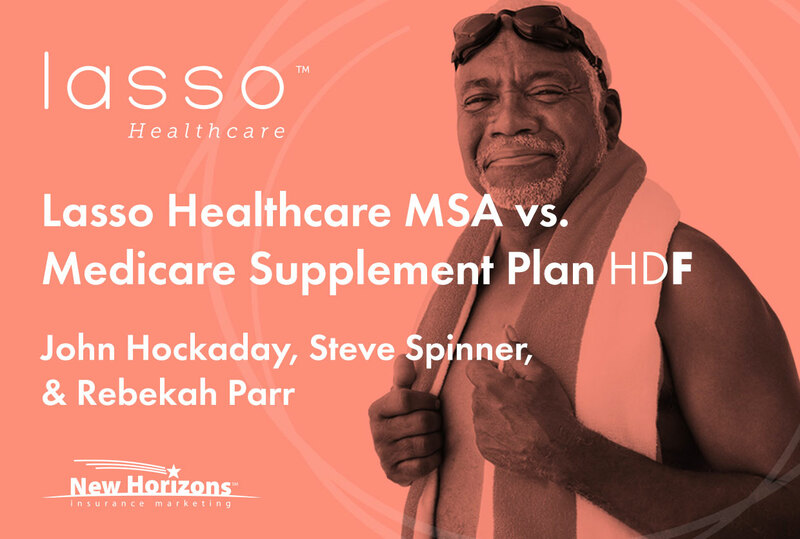 John Hockaday and Steve Spinner break this question down for us to really understand how the HDF compares to the MSA. If you’re not familiar with the MSA at all, it’s a type of Medicare Advantage product that’s $0 premium, has a high-deductible, and also includes a special medical savings account funded by Medicare. John Hockaday: I hate the High Deductible Plan F. I don’t think we’ve ever sold one here. The concept behind an HDF is that you have a $2240 deductible that has to come out of your pocket first in copays. Medicare is still paying their part on A and B, but you have to pay $2240 out of your pocket before you get any benefit from your Medicare Supplement. After you pay that money out of your pocket, it will pay like Plan F in that it pays 100% of approved costs. But it’s still a fully underwritten product, and you’re paying a premium of $30 a month for a 65-year-old. Steve Spinner: There’s risk with both plans. With the Lasso product, there’s the potential in a healthy year of having $2500 in the account versus just another premium payment going out. My contention with this whole product is more about the health of the beneficiary. If the person is healthy, there is no choice in the matter. They need to go to the MSA. They’re going to have no premium, and they’ll still have money left over that’s free to them. If I’m healthy and buy an HDF, I’m still subject to that deductible and a premium that’s coming out of my pocket. If you want to compare an HDF to the MSA, you have to compare apples to oranges. This is more dictated by the health of the beneficiary and what direction they should go from that point on. Can we compare the dollars out of pocket? Of course we can – we just did that. But if a beneficiary is healthy and they don’t anticipate any problems, the MSA is clearly the avenue in which they need to go. John Hockaday: You know, there’s really another component to this. There’s a lot of people out there that are not utilizing their Medicare Supplement benefits very much at all but they’re uninsurable for another Med Supp. We had a lady call in yesterday and she has osteoporosis which is no big deal, but she had a stress fracture within the last year. She’s uninsurable. There can be nothing else wrong with that woman, and yet I can’t find a place for her anywhere. She’s a great candidate for this. Here’s another example. Let’s say you have a COPD diagnosis, and that’s all you got, but you got it. And maybe you use a nebulizer, but you don’t have anything else that’s wrong with you. That’s it, you’re done. You can’t get a Med Supp. A lot of times you get someone and say, “My gosh, this person is healthy.” But they have that one quirky condition that makes it impossible to find a Med Supp home for them. When you take underwriting out of the mix, you get rid of a big headache for a lot of people. John Hockaday: The MSA is just different – the thinking is a little bit different. You know, you get some people who just can’t wrap their heads around a high deductible. I had the perfect couple – they’ve been insured with us for over 40 years. They are healthy, but they don’t want to think about having a deductible. And they have lots of money! But they just put up a roadblock and won't even consider it. It’s kind of conditioned thinking. But you don’t have a roadblock with networks. And you have $0 premium. When you get a broker that sells these products every day and they know this business, and they say they’re going to go this direction… that speaks wonders. 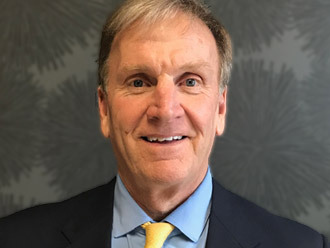 John Hockaday: From the agent’s perspective, you want to do the right thing for your consumer. You feel like either way is fine. You’re not gonna kill yourself arguing to make your customer do what you want them to do. You just want them to do something with you. It’s the only thing out there like it, and as people start hearing about it, it’s just going to gain more momentum as the years go by.